As part of living on my own, I have realized the importance of being able to feed yourself. Of course, I do not just mean financially purchasing it, but also being able to put together. There are multiple levels of this, as this could include reheating food in the fridge, defrosting frozen items, or starting from scratch. For myself, I actually have had a bit of experience from living with my parents about cooking for myself. Not only have I had to cook when they were out of town, but I also tried to keep cooking on a weekly basis when I was at home. Some things I have learned along the way are easy things to make, such as fried rice, pasta with a tomato-based sauce, and chicken drumsticks. However, the distance between strictly edible and delicious is large. While I know I can make items that are sufficient for self-reliance, I would never consider myself a chef or a master in the kitchen. I definitely want to learn to make better foods, but I think I still have a long way to go. Today in our kitchen hands, we have the Cooler Master MasterLiquid ML240R RGB. We have seen Cooler Master all-in-one liquid coolers in the past, so what makes the ML240R RGB any good? Does it still have a lot to change in order to make it a top-notch in the CPU cooling department? 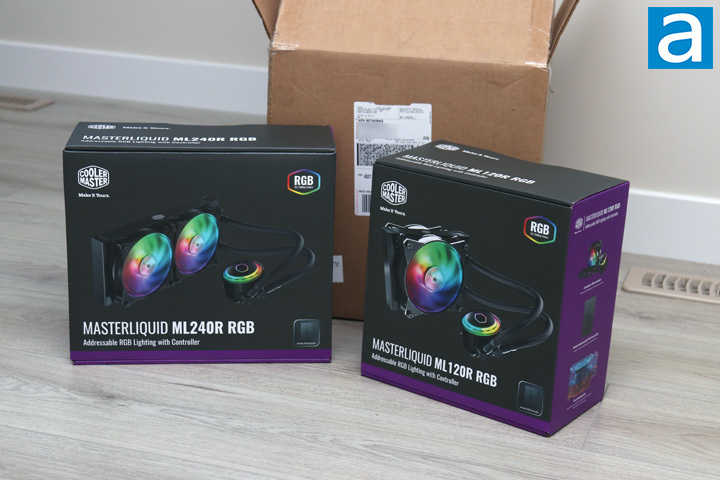 In essence, is the Cooler Master MasterLiquid ML240R RGB a master cooler? Let us see as we check this product out today! 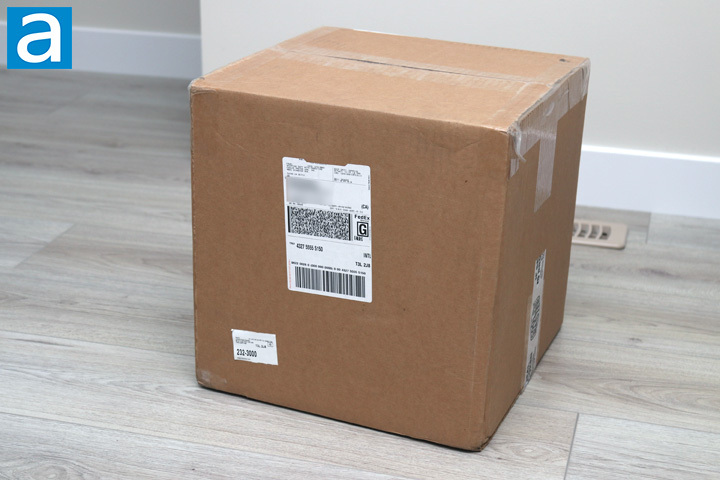 Today's review unit of the Cooler Master MasterLiquid ML240R RGB arrived in a large brown corrugated cardboard box. Traveling all the way from Cooler Master's offices in Chino, California, the box arrived via FedEx and their standard ground service. All the edges were sealed with either a clear packing tape or a marked Cooler Master packing seal. There were no bumps or bruises to be concerned about, as the box arrived in relatively good condition. Inside the box, we have both the MasterLiquid ML240R RGB I will be looking at today, as well as the 120mm version. Apart from these, there are just some air pockets to prevent any damage to the contents. As you can see, both the MasterLiquid ML240R RGB and ML120R RGB came to us in a pretty standard Cooler Master affair. Following their purple and black theme, both of these boxes are relatively clean in design and shows off the product on the front. They also both feature addressable RGB, or ARGB, lighting with an included RGB controller. ARGB is something that has been a bit more refined version of RGB. To me, there is nothing really refined about RGB, but that's just my opinion. However, ARGB allows users to control each LED in terms of color and intensity. Of course, we will see what Cooler Master allows for flexibility in real life. Out of the box, the MasterLiquid ML240R RGB comes with all of the typical accessories you would get with an all-in-one liquid cooler. All the mounting accessories are included to install this onto the popular consumer Intel and AMD sockets. This includes Intel's LGA2066, LGA2011, LGA1366, LGA115x, LGA775 sockets, and AMD's FM1, FM2/+, AM2/+, AM3/+ and AM4 ones. The AMD TR4 socket is not supported due to its much larger size. RGB accessories are also present, including the light controller and all of its wires. Otherwise, there is some documentation and warranty information for the ML240R RGB. 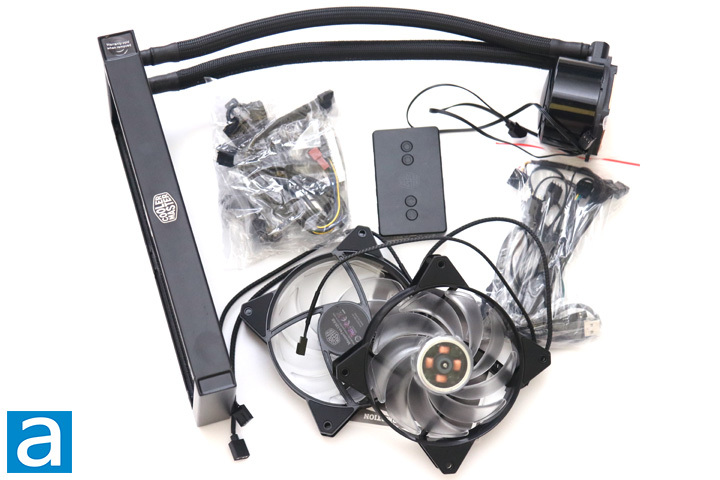 Unfortunately, Cooler Master only backs their AIO coolers for only two years, which is much shorter than some AIO coolers, such as the six year warranty from CRYORIG's A80.